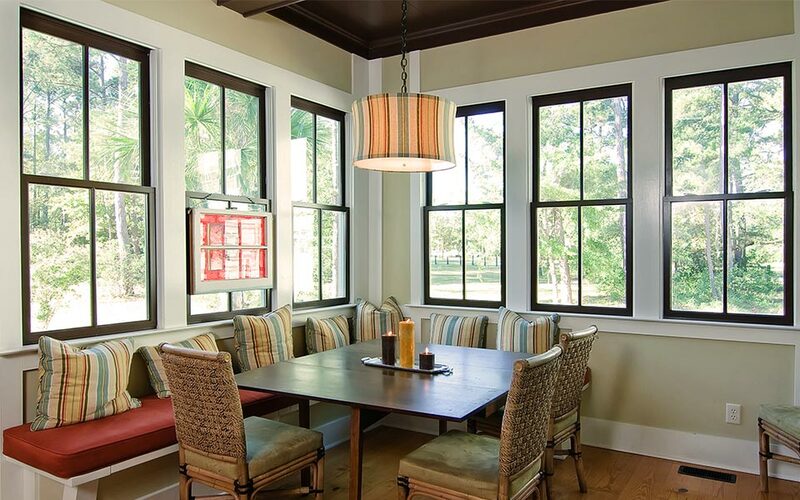 Windows are a vital component of having a comfortable and energy efficient home. Having old, drafty windows can make a huge difference in the cost of your monthly power bill. It can also lead your heating and air conditioning systems to malfunction from being overworked. And of course, you will also just be uncomfortable not being able to moderate your home’s temperature in cold or warm months. You may be tempted to tinker with your windows and re-seal them year after year, but at a certain point, it may be the more practical decision to replace them. What kind of signs are there to know when resealing them will no longer do the trick? As you inspect your windows, there are a few things to look for. You should check around the entire window and trim for gaps between parts to see if there is any room for moisture or air to leak through. Any moisture could cause the wood to rot. If there is rotting along the jamb, casing, head, or sill, the entire window will need to be removed and boards replaced. This situation calls for replacement rather than repair. If there is no water damage, but there is air drafting in, you may be able to reseal the window. To reseal the window you use caulk and weatherstripping to block any routes the air might be traveling. There should be an original bead of caulk between the trim and the wall. If this is dried and flaking, cracked, or otherwise compromised, your air leaks could be solved by resealing with caulk. The interior of the window can also lose structural integrity and result in air flow into or out of the home. Weatherstripping is used between moving parts of the interior of the window to plug any open spaces. You can check around the jambs, sashes, and panes to see if old weatherstripping is still in good shape. If not, you may be able to replace the strips yourself. Sometimes though, the damage to your window is too extensive to simply reseal with caulk and weatherstripping. If there is streaking or moisture between the panes of glass, this can be a sign that the treatment the glass received in the factory has failed. Factories often put low emissivity coating on the glass to reflect heat away. They also pump argon gas between the panes as extra insulation. When these treatments fail, the window takes in moisture and there is often not much that can be done besides replacing the window. This, along with rotting or cracking of the frame are common reasons to replace a window. Otherwise, if the structure itself is strong, the more economical decision is likely to reseal with caulk and weatherstripping. Replacing windows will save you money, but only if there is no longer a simple fix. It will bring you comfort to know that when Kelly Window and Door replaces your windows, any defects are covered under warranty. When we replace the window, you don’t have to fix it ever again. Contact Kelly Window & Door today at (919) 461-0010.